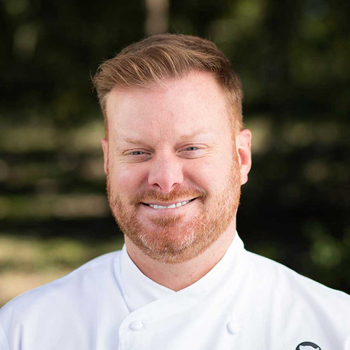 As Culinary Director at Driftwood Recovery, Chef Jason has parlayed decades of experience as a Chef in Fine Dining Kitchens and World Class Hotels into expanding his holistic approach to food and its positive effects to the human body in recovery and beyond. He and his team provide nourishment of the highest quality for our residents and staff. He joins us with 25 years of World Class Kitchen experience, yet he finds that his part in helping our clients heal and become rejuvenated through food and nutrition as one of the most rewarding experiences of his life. He is ever-expanding his knowledge of the culinary world to benefit our residents and recently attended “Health meets Food: The Culinary Medicine Conference” at the Goldring Center for Culinary Medicine. Outside of the kitchen he enjoys spending time with his partner, Laruen, and their two dogs and exploring new restaurant concepts in and around Austin.